Catch Up on GEM and watch online on TVCatchUpAustralia.com. Catch Up on GEM and watch TV online. 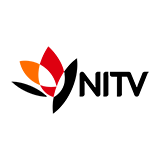 GEM is an Australian TV channel with 129 programs to watch online. That's more than 1,183 hours of playtime! 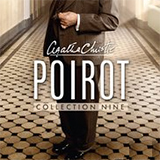 Recent popular programs include Death In Paradise, The Brokenwood Mysteries, Escape to the Chateau, Poirot and DCI Banks. 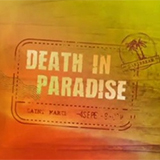 Death in Paradise is a British-French crime comedy series written for television that takes place on Guadeloupe, a French island in the Caribbean. A small towns newest resident, Detective Senior Sergeant Mike Shepherd, finds that murder lurks in even the most homely locations. 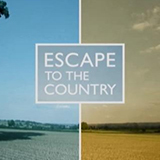 Catch up on Escape to the Chateau and watch online. The cases of an eccentrically refined Belgian detective. Catch up TV on DCI Banks. 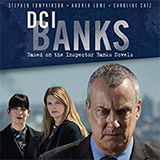 Watch the latest and all other episodes of DCI Banks now online, broadcasted on ABC1. Catch up on Law & Order Svu and watch online. 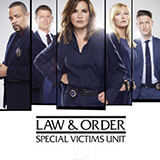 Find the latest episodes of Law & Order Svu, broadcast by . 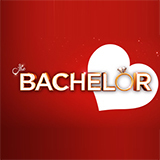 Catch up on The Bachelor Australia and watch online. Catch up on Midsomer Murders and watch online. 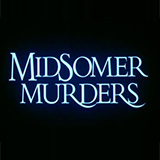 Find the latest episodes of Midsomer Murders, broadcast by GEM. Catch up on The Ellen DeGeneres Show and watch online. TipCan't Pay? We'll Take It Away! 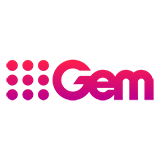 GEM, which is also sometimes referred to as 9Gem since the rebranding of the channel in 2015, is an Australian digital TV channel that has been broadcasting since 2010, when the Nine Network launched it. The name of the channel, GEM, stands for General Entertainment and Movies channel, and it is aimed at the general audience. 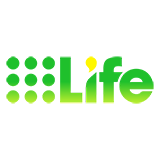 The channel's programming consists mainly of a combination of lifestyle shows, movies, new television shows and re-runs of shows that previously ran on its sister channels within the Nine Network. GEM broadcasts programs from Australia, Canada, New Zealand, the United Kingdom and the United States, which explains TVCatchUpAustralia.com's extensive library of shows and episodes by 9Gem. What is there to see on GEM? GEM was created to cover the audiences that were not yet or not entirely covered by Nine's sister channels, including the main Nine channel and 9Go!. The programming at 9Gem could be considered slightly skewed towards Australia's female population, but its covers pretty much all genres overall, including lifestyle, drama, comedies and classic sitcoms. 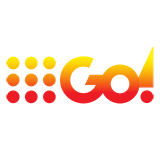 The channel also broadcasts a lot of non-Australian shows and programs, from countries like New Zealand, the United Kingdom and the United States. These shows include worldwide smash hits like Friends, The Ellen DeGeneres Show and Rizzoli & Isles. At TVCatchUpAustralia.com you can watch and re-watch all episodes of all shows in GEM, so you'll never have to miss anything again. Thanks to Nine Entertainment's studio-output deals with internationally renowned studios like Metro-Goldwyn-Mayer, Paramount Pictures and Warner Bros 9Gem also regularly broadcasts big feature films. Just like is the case with all the shows and programs you don't need to worry about missing your favourite movie anymore. Just open your browser, visit TVCatchUpAustralia.com and look for the episodes of the show or movie that you've missed. With TVCatchUpAustralia.com it really is as simple as that. Whether you are living in Australia or on the other side of the world, with TVCatchUpAustralia.com you can keep following all the latest shows and programs that are being released by 9Gem. Besides that you will never have to miss an episode of your favorite shows again, with the help of TVCatchUpAustralia.com you can just visit our website, use our user-friendly internal search engine, and watch the episodes and shows you want to watch, when and where you want to watch them. Watching 9Gem has just become a whole lot easier, even for those people living in Australia itself. Like the name already suggest, GEM has a lot of entertainment on offer for its viewers, ranging from national and international series to worldwide movie hits and regular sports shows. With the help of TVCatchUpAustralia.com you never again will have to miss an episode of The Bachelorette, Major Crime, Midsomer Murders, or any other 9Gem show for that matter. Our goal is to make the process of searching, selecting and viewing shows as simple and as quick as possible for you. That also goes for those users who are in search of a new series or TV program to watch, just check out our impressive media library and start exploring the numerous options. From now on you have the entire current and past programming of GEM at the tip of your fingers. Use TVCatchUpAustralia.com to stay in touch with your favourite shows and programs, whenever you feel like it. Our database of show and episodes is practically bursting, so take a look and enjoy any 9Gem program you like.